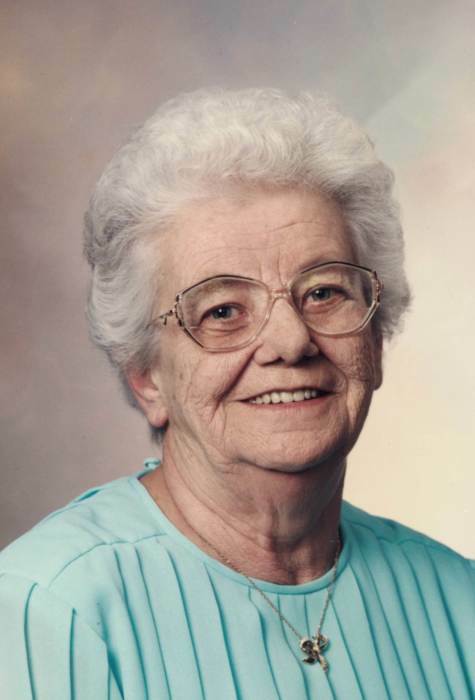 Darline May Taylor, 94, of Eldora, IA, passed away on December 5, 2018 at Scenic Manor in Iowa Falls, IA under the care of Care Initiatives Hospice. Visitation will be held on Monday, December 10, from 5-7 PM at Creps-Abels Funeral Home in Eldora. A Funeral Service will be held on Tuesday, December 11, at 10:30 AM at Creps-Abels Funeral Home in Eldora. Visitation will resume from the evening prior at 9:30 AM at Creps-Abels. Memorials may be directed to American Cancer Society, American Heart Association, or to the family. Creps-Abels Funeral Home is taking care of Darline and her family. Darline May Taylor was born on August 11, 1924, the daughter of George and Josephine (Gast) Kramer, and was the second to the youngest out of nine children. She grew up on the family farm in the Steamboat Rock area and was a graduate of Steamboat Rock High School. Darline was an honor roll student and played on the girl’s basketball team. Darline was united in marriage to Glenn Lee Taylor in Taylor County in the state of Texas on June 12, 1943. Together they had three children Gary, Donna and Terry. Darline was a farmer’s wife and worked alongside her husband raising livestock and helping harvest the crops. She was a homemaker, a great gardener, an excellent seamstress, and enjoyed rug hooking, cross stitching, and needlepoint. Darline was an avid bowler and was on several different leagues. She enjoyed going to football and basketball games when her children were in school sports. Darline worked part time for H&R Block during the tax season. Glenn and Darline were also managers of the Eldora American Legion for four years. Glenn passed away on July 3, 1996. Darline managed the American Legion for one more year before retiring. Darline is survived by her children Donna Steinfeldt of Eldora and Terry (MaryEllen) Taylor of Iowa Falls; 11 grandchildren; 17 great grandchildren; 2 great-great grandchildren; brother-in-law David Taylor; sister-in-laws Janice Kramer and Mick Kramer. Darline is preceded in death by her parents, husband Glenn, son Gary, grandson Travis, brothers Harold, Lester, Kenneth, Gerhardt, Merle, sisters Helen, Ruth and Esther.